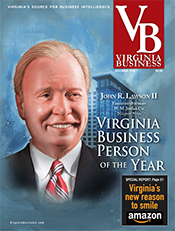 Marc Bogan, president and CEO of The Fauquier Bank. 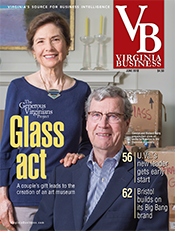 Frustrated for almost a decade by a sharp increase in federal regulations and near-zero benchmark interest rates after the 2008 financial crisis and Great Recession, Virginia bankers say events in Washington during the past year have brought long-overdue relief. 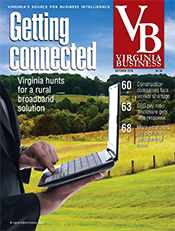 “Things are lookin’ up,” says Steve Yeakel, president and CEO of the Virginia Association of Community Banks (VACB). The change started with a 40 percent cut in the U.S. corporate tax rate — from 35 percent to 21 percent — passed in December 2017. The trend continued with the decision of the Federal Reserve Open Market Committee to raise interest rates to control economic growth and inflation. Lower taxes boost net income, enabling banks to pay shareholders more in dividends and invest more in their employees, business infrastructure and customers. As benchmark interest rates rise, banks are able to pay more for deposits and charge more for loans. Additionally, last spring Congress followed through with the GOP promise to roll back for smaller banks some regulations passed in 2010 as part of the Dodd-Frank Act — legislation designed to curb the speculative excesses by some money-center banks that shook the global economy. 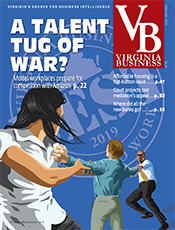 “All three things are combining to put banks in a stronger financial position,” adds Bruce Whitehurst, president and CEO of the Virginia Bankers Association (VBA). Congress’ rollback legislation, known as Senate Bill 2155 (the Economic Growth, Regulatory Relief and Consumer Protection Act), eliminated or adjusted a number of regulations and reporting requirements on all U.S. banks except the very largest international institutions. The new law’s critics say any rollback in Dodd-Frank regulations raises the likelihood that banks, regardless of size, soon may repeat many of the risky investments and loans that caused the 2008 financial crisis and the deep recession. In particular, they point to provisions that reduce, for smaller banks, capital-to-loan ratios and the number of annual examinations of their books and loan portfolios while providing them increased relief from the controversial Volcker Rule, which restricts how U.S. banks can invest their assets. The law’s supporters, however, say the strict regulations and compliance reporting requirements in Dodd-Frank penalized thousands of smaller U.S. commercial banks that had nothing to do with the financial crisis. 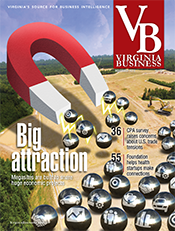 Community bankers across Virginia say the strictest rules stifled lending activity, sharply increased compliance costs and practically stopped the formation of new banks during the past eight years. The final rules that banks can use under S.2155 to run their businesses are expected to trickle out during the next six to 12 months from industry regulators like the Federal Reserve, the Federal Deposit Insurance Corporation (FDIC) and the Office of the Comptroller of the Currency (OCC). 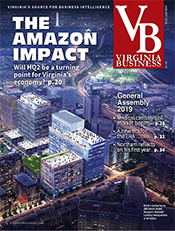 “With one or two exceptions, not very much has changed yet, but the expected impact on community and regional banks is a positive one that will flow through to a better customer experience,” says Whitehurst of the VBA. 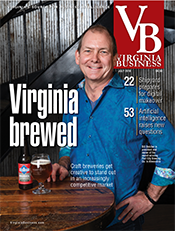 “Most significant to me was not only the regulatory relief in the bill but the decline in the number of new regulations that have impacted financial institutions of our size,” says Mark Nelson, CFO at First Bank & Trust, which operates in Southwest Virginia. 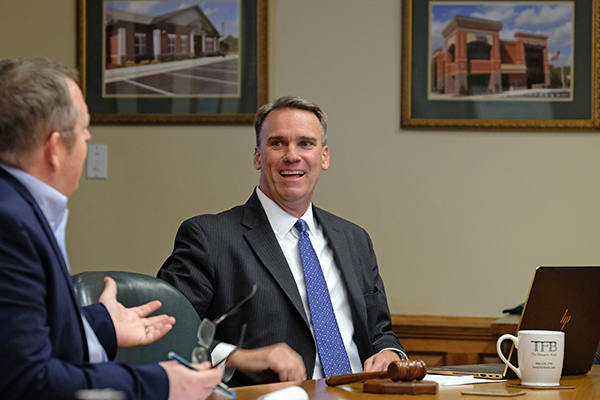 Nelson, Yeakel and other bankers, for example, applaud the new law for reversing for smaller banks this year’s scheduled addition of 25 new data points to the current total of 23 on all mortgage applications. “Forty-eight data points is clearly excessive,” says Yeakel. For Harvard and others, S.2155’s immediate benefits for smaller banks like his include fewer time-consuming annual on-site examinations from federal regulators. Now they’ll be performed every 18 months instead of every 12. At First Bank, those yearly multiweek examinations by teams of more than a dozen examiners required weeks of preparation and the need to have about a dozen bank employees available to provide information on deposits, asset quality, capital levels, outstanding loans and the lending decisions behind those loans. With regulators scheduled to visit twice, instead of three times, every 36 months, First Bank can deploy employees in more productive ways, Harvard says. “Every three years we’ll get that time back,” he says. 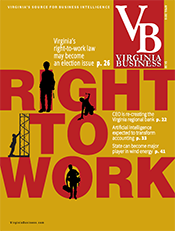 In the medium term, S.2155 also will make it easier for Virginia’s community and regional banks to spend fewer employee hours and less money selling mortgages, a large part of their business. The new law allows banks to assume all the risk of their mortgage loans by permitting them to carry those loans on their books. This will require less paperwork for regulators and fewer income and legal documents from future property owners. Before, under Dodd-Frank, banks were forced to use cookie-cutter numerical formats to close “qualified mortgages,” if they wanted to resell mortgages on secondary mortgage markets. Going forward, smaller commercial banks can use their own lending and repayment criteria, instead of those dictated by federal regulators. Also, S.2155 eases federal rules governing property appraisals in rural areas where licensed appraisal companies may be few and far between. The law also eliminates a mandatory three-day waiting period on mortgage closings whenever banks offered customers a new, sometimes cheaper, interest rate. 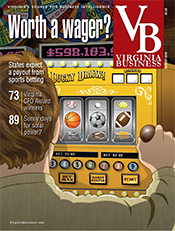 “Customers will benefit now that banks can act more flexibly,” says Bogan. 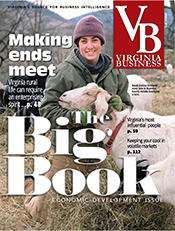 Additionally, new mortgage rules mean regional and community banks will have more autonomy to help clients whose income levels may change dramatically from year to year, such as farmers and the increasing number of self-employed entrepreneurs in the growing “gig economy.” Under Dodd-Frank, these customers had a much harder time getting qualified mortgages in spite of solid reputations in the local community and stellar repayment records on previous loans. 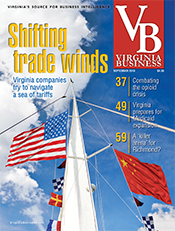 Yet, even as a new surge of energy boosts the banking business, Whitehurst of the VBA continues to caution his members and their customers to prepare for possible hard times ahead.